WHAT USES DOES CLASS SUI GENERIS COVER? 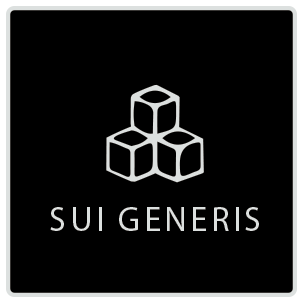 The Sui Generis meaning is Latin for in a class of its own, or unique. It is the name for the use class for uses which do not come under any other of the other planning use classes (not unlike miscellaneous). These include: theatres, larger HMOs, hostels which do not provide care, scrap yards, filling stations, car showrooms, retail warehouse clubs, nightclubs, launderettes, mini-cab services, amusement centres, casinos, betting shops, and pay-day loan shops (although betting and pay-day loan shops used to come into A2 use class before April 2016). For a fuller list of the use classes order, see the planning portal table. ‘OUR SECRET’ SPA: A1 to Sui Generis, June 2017. Our client – who had been a successful tennis pro – chose one of London’s principal commercial architecture firms to realise his vision for a business with a health theme in the heart of the very fashionable Notting Hill. He is from Northern Europe, where spa treatments are particularly specialized. He called Commercial Architecture for planning drawings for this exciting change of use application from A1 Retail (toy shop) to Sui Generis for spa treatments (with A1 retained on the front part of the ground floor to conserve A1 retail on the High Street). We prepared several options for him and so the images here denote his preferred design route. His application was recommended for approval by the planning officer, subject to one minor design alteration which has been done. Therefore the application is pending approval with Westminster Planning Department. We did 3D immersive design renders to support his planning application, then later he instructed our interior design service and our branding package. We also included a demographic report on the area, as well as a Flood Risk Assessment which indicated no risk. There were a few delays because of the continual protests of one of the neighbours. However, permission with conditions was granted in September 2016 because the planning officers found no basis for her com-plaint. The construction phase has been completed, and the hair and beauty salon is now open for business. If you would like a free consultation about your building use class, or a quotation for a continued or change of use planning application, do contact us. We can answer questions such as: What is a material change of use? or we can say whether your existing or proposed use falls under Sui Generis use class. For further information, the NPPF (National Planning Policy Framework) shows basic guidelines. We can help you by preparing your application for submission to make the process much easier for you, and to give you the best chances of approval. You can contact us here, or call us on 0203 409 4215.